This refrigerator features new Quad Sensor™ technology, a climate control system with four independent sensors to extend freshness and prevent food spoilage by monitoring and regulating temperatures in the refrigerator and freezer. Importantly, this new luxury product is 25% more efficient that Minimum Federal Energy Standards making it a qualifying Energy Star® model. Another advanced technology feature from Jenn-Air is the Automatic Adaptive Defrost which detects frost buildup and switches to defrost, protecting frozen foods and saving energy. The dispenser has attractive LED lighting and Touch Screen Electronic Controls. The current Jenn-Air promotional Fire and Ice offer is available through March 30, 2013 and includes a $300 rebate on the JFC2597 refrigerator featured above. In addition, the Jenn-Air Your Purchase Your Rewards Promotions offers FREE APPLIANCES valued up to $3848 , and Installation on Us of up to $1100 with select purchases through June 30, 2013. Jenn Air Appliances holds a very high reputation in the world of kitchen appliances. They have been producing high quality appliances for many years, so it only makes sense that anybody looking for a new range for their kitchen should look to Jenn Air Appliances. Jenn Air Appliances has been producing high quality kitchen appliances for just about 50 years now. In those 50 years they have developed the ability to produce goods of the highest standards. Jenn Air started out as a company that only made fan units in 1947, but since then the brand has gone on to become one of the largest and most widely recognized kitchen appliance brand. People expect no less than top quality products from Jenn Air. It’s the same story with the Jenn Air Ranges. Top quality is what you get with each range; and there’s a variety to choose from, ensuring that everybody’s needs can be catered for. Jenn Air Ranges provide the sort of quality you would associate with celebrity kitchens. They are deliberately designed to add more prestige to your kitchen. The ranges are available in a variety of sizes, browsing through jennairappliances.com will give you a great idea of what’s available and what can fit in your kitchen. Jennairppliances.com also offers very detailed descriptions of every one of their products, which is useful for anybody before making a big purchasing decision such as this one. The ranges are expertly designed, ensuring that not only do they look good, but they are easily maintained, and furthermore, are robust enough to last for a long time in your kitchen. Not only that, but they come equipped with the latest top of the range kitchen ware technology that you’re bound to find on any other top quality range. The finest Jenn Air ranges are equipped with fully customizable controls, Jenn Air’s exclusive Multi-Mode true convection system as well as a very sleek looking 7” LCD display. This ensures that you have as much accurate information as possible, as well as full control over anything that you’re cooking. Not only are the ranges impressive aesthetically, but they are powerful. 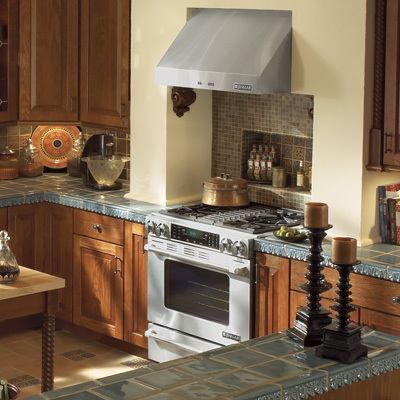 Jenn Air Appliances offers both gas powered and electric powered ranges to suit your needs. They are expertly designed to ensure that not only are they powerful and efficient, but that they are able to achieve this while still being energy/gas efficient. In fact, some of the higher end ranges offer intelligent flame sensing technology that lowers flames, only to reignite them at the right moment; all of this occurs without affect the performance of your cooking or the quality of the heat provided. Anybody looking for a new refrigerator will find Jenn Air refrigerators to be a very suitable alternative. Jenn Air offers a variety of appliances that are well crafted and will last a long time in your kitchen. Jenn Air is a highly reliable brand that has been around for ages. Founded in 1947 by Louis J. Jenn, the company initially started building fans and air conditioning units before venturing into the field of kitchen ware. Jenn Air has been making reliable, top quality kitchen products for just over 50 years now. They have a strongly positive reputation in the kitchen market, as well as generally very good prices on their products. Jenn Air refrigerators maintain the high standards that have been set by Jenn Air for household kitchen appliances over the past 50 years. There’s a wide variety of refrigerators available, you can have a look on the website, meaning that anybody can find a product that fully caters to their needs and requirements. For some, a refrigerator is simply a storage device for food which is opened and closed occasionally. For others, however a refrigerator is an icon of expression in their kitchens. Jenn Air’s range of refrigerator can satisfy all these needs, and more. Not only that, but the refrigerators come in various shapes and sizes, ensuring that they can fit well in just about any kitchen. Jenn Air Refrigerators have been voted as the “Top Built Refrigerator” for the last 3 years in a row, which is a testament to the high quality and robust build, as well as the consistency that Jenn Air provides to customers. 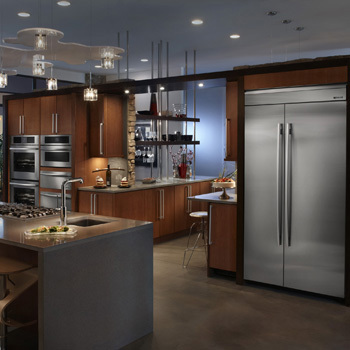 The refrigerators offer plenty of top quality features that you would generally associate with a high-end appliance brand. The immaculate design of the refrigerators using well-crafted techniques and high quality materials means that maintaining your refrigerator’s spotless image won’t be a problem. Jenn Air refrigerators are famed for being easy to clean, making sure that there’s always an element of classiness in any kitchen in which the refrigerator is found. Before making any decisions or purchases on refrigerators, it’s always a very good idea to scope out just how much space is available to be used in the kitchen. Make sure you know just how big your current or old refrigerator is and you can use this information to your advantage while browsing through jennairappliances.com. 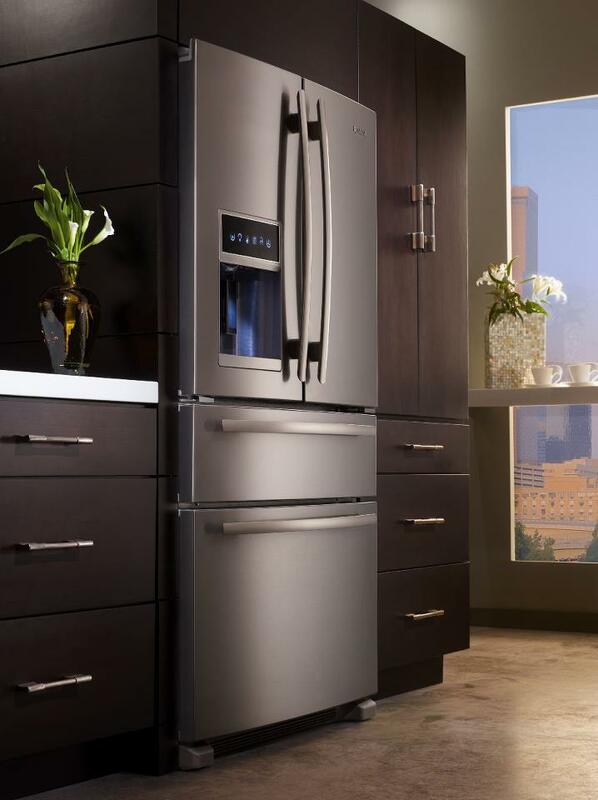 Jenn Air offer both double and single door refrigerators, in a variety of styles too. If you’re looking for something a little smaller, there quite a few under counter/wine cellar refrigerators available. So no matter how much, or how little space there is in your kitchen, there’s a fridge that will fit perfectly! The latest French-door range of refrigerators have proven to be very popular amongst customers, especially as a lot of people today are looking to have a more Euro-Centric feel in their kitchens. These refrigerators are equipped with the most modern technological conveniences, including built in ice dispensers, LCD displays that inform you of exactly what’s going on, and highly customisable settings to ensure that food is stored in the refrigerator at optimal conditions. Jenn Air refrigerators are high quality, state of the art devices that will cater to any kitchen needs. Click on the image to your right to visit where you will find the best prices on Jenn Air Refrigerators. Jenn Air Cooktop-What’s the verdict? Generally people always have a lot of questions about Jenn Air Cooktops. Well to make it simple, Jenn Air usually has a wide variety of high quality appliances, so when the time comes to purchase a cooktop to compliment a new kitchen, there should not to be any other choice. The Jenn Air Cooktop is brilliantly designed with all the elements needed for the budding chef in mind. You have a few options (With regard to size especially) ensuring that you have the perfect final piece to add to your kitchen. Coming together with clear and easy instructions as well as a very reasonable price tag, this is the perfect cooktop for anybody. Looking through their selection you could easily believe you are browsing through a high class European appliance catalogue. That’s half true; you’re browsing through some very high class appliances, but they come to you at a more affordable price than you could imagine. It’s always encouraging when products are aesthetically pleasing, and the Jenn Air cooktop is no exception to this. It exhibits a sleek, Euro style design with flat stainless steel surfaces. This means that it’s not only pretty to look at, but it’s easy to clean and (perhaps most importantly) is robust and durable. This product will last for a very long time in your kitchen. If you are looking for more information about Jenn Air cook tops then click on image to your right. UAKC offers you the chance to speak with the people behind the scenes before you make a purchase. They encourage their customers to make an informed decision, which is always a good idea. You can communicate by email or by phone, and they will be able to recommend the perfect cooktop for you based on the details you give them about your kitchen and your cooking abilities. The service offered is always friendly and sets a very good impression; an impression that is carried through to the product too! After doing some research, it’s easy to see that plenty of customers are very happy with the Jenn Air cooktop. These days, products have to comply with modern standards, and judging by customer reception, this cooktop does just that. Many customers seemed to be surprised (Although pleasantly so!) at how easy it was to install the cooktop in the kitchen. The designers at Jenn Air were smart (and kind) enough to provide detailed instructions that almost anybody could follow. Adding more convenience to the whole experience for the customer! Not only does it look good, and not only is it easy to install, but it performs well too! Which is essentially what you want the stove top for, right? Customers hardly reported any issues with their Jenn Air cooktop models. So what you have here is a top quality cooktop for your kitchen, at a very feasible price! It will be easy to install, and performs well for a long, long time, meaning you can put worries about your next cooktop in the back of your mind. Click on the image to your right to get more info about Jenn Air Cooktops. Click here to see some of Jenn Airs new innovative advance with Cook Tops! Pretty cool stuff! Jenn Air DishWashers- Good or Bad? So you are looking for a Jenn Air DishWasher but are stuck on making a decision. So when looking for a good dishwasher it is always a good feeling when you find a product that’s perfect for you. Most people have this feeling with Jenn Air dish washers. 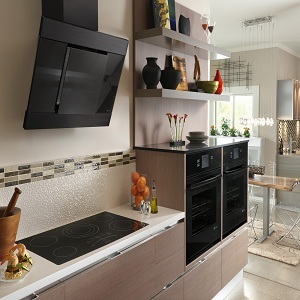 The look beautiful, so much so, that any one of them could successfully complement a well designed kitchen. The best part about them is the price. Jenn Air claims to be very competitive, but their prices will truly shock you, especially considering the quality of product that you are receiving. If you search the internet you will find several reviews from other customers who have purchased different Jenn Air dishwashers. Most likely you will find nothing but praises being sung in the reviews. For most people, your best bet when looking for any kind of appliance is to see what other people are saying. Yes, those reviews can be fabricated but you can still get a good idea of what the general vibe is. If you look online you will find different reviews and opinions about peoples experiences with Jenn Air. Bottom line is Jen Air is a top of the line appliance. Their dishwashers compete with the best and they are durable and long lasting. If you are looking for some of the best prices on Jen Air Dishwashers then click on the image to your right. Are there enough features? Are there too little features? The bottom line for any dishwasher is take a look at the big picture. 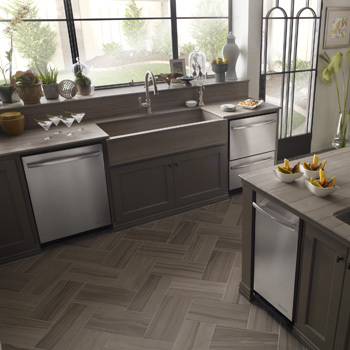 Imagine the dishwasher in your kitchen or if you are remodeling then your new kitchen. Does it fit who you are and what you want your kitchen to look like? Style and design is very important when it comes to the look of the dishwasher. You want your dishwasher and other appliances to be congruent and have a nice smooth look. So don’t stress but take some of the above factors into consideration when buying your next Jenn Air dishwasher or any other appliance for that matter.